Race aboard a 12 Meter Americas Cup contender! Aboard the 12 Meter racing yachts, our professional and friendly crew will coach those interested in a hands on sailing/racing experience, but participation is not required. No sailing experience necessary. Fun for sailors of all ages! 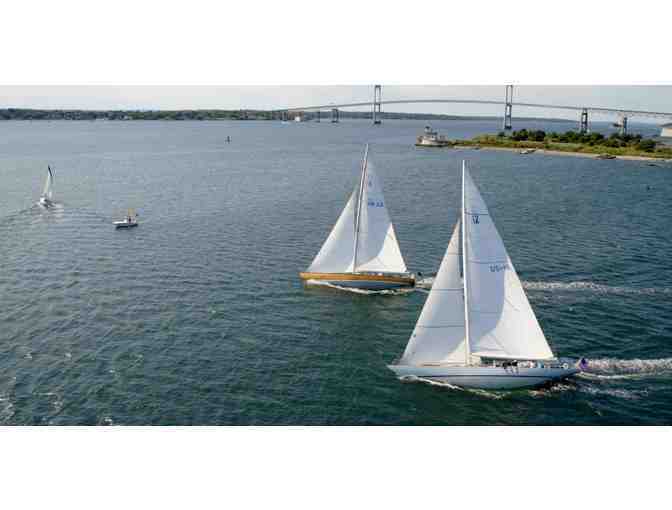 Racing sails are available once or twice a month from June to September in Newport, Rhode Island. Sailing dates and times are subject to availability. Items purchased before July 1, 2018 will be valid until October 15, 2018. After July 1, 2018, valid until October 15, 2019. Sailing dates may be arranged well in advanced but exact time of sail will not be finalized until a week before charter date.